Due to a misunderstanding with my GPS, I entered the west end and saw this. Okay, but not that exciting. 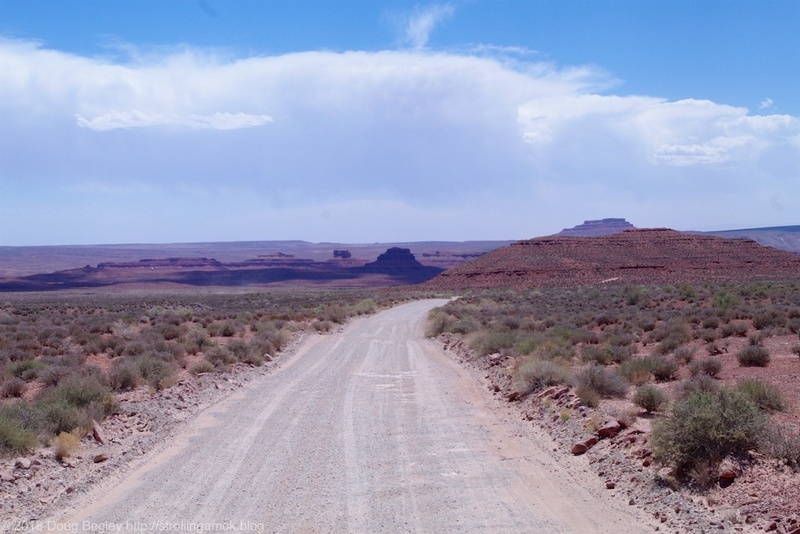 My plan had been to enter the east end of Valley of the Gods, Utah, a gravel road that spans two highways. This was because there were cautions online about having to charge through sand in order to begin the trek at the east end, and I wanted to see just how intimidating it was, given my sporadic difficulties with thick dust at Monument Valley. It was supposed to give the willies to larger and heavier towed rig owners. Instead, my GPS, set for the “fastest route” to get to the east entrance, felt that beginning at the west end would be the quickest way to get there, and I, not realizing the subterfuge, blindly obeyed. 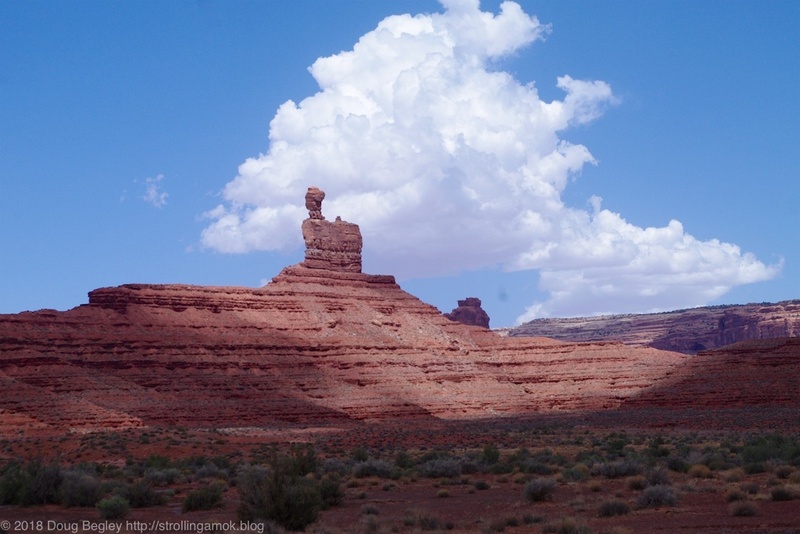 The west end is a short jaunt from Goosenecks State Park, so I feel that my GPS was either deluded about the nature of that roadway versus the highway, or perhaps didn’t even care. We’re working through this issue together now. Its conversational ability is somewhat limited, but then, I”m not in a position to point fingers. But eventually, you see things like this.